Yugi Mutou is a spike-headed kid in Domino High School. He likes all kinds of Board games and his grandfather Sugoroku Mutou owns a toyshop. So, Yugi knows how to play many games in the store. In persona, Yugi is shy and lacks confidence to communicate with others. This makes him a frequent target to a countless number of bullies, gangsters, theives, and just all around bad guys. His grandfather gave him a long lost Egyptian "Millenium Puzzle" ,knowing that the magic within the puzzle may help Yugi out. This 3-D pyramid shaped puzzle called "The Millenium Puzzle" is an ancient artifact from Egypt that gives special powers to whomever wears it. This puzzle is a part of the "Seven Sennen Sets". After Yugi completes the Puzzle, his life changes. The puzzle releases the game king of Egypt, YU-GI-OH takes control of Yugi's Body, he transforms into a stronger and taller guy. YU-GI-OH always uses his opponent's cheating tricks and pays it back to them. Although Yugi is weak on his normal stage, he does have many friends that stand by and protect him. Tea Gardener, Tristan Taylor, Mai Valentine, and Ryou Bakura are the names of some of his friends and classmates. Joey Wheeler, who is possibly Yugi's best friend, always fights for Yugi. 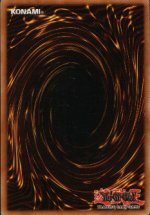 Yugi's Favorite Card is the Dark Magician.